With 2019 just around the corner, The Institute for Luxury Home Marketing has taken a look at the upcoming design trends in luxury. We’ve outlined for you the top colors, top patterns and top design choices for the New Year as well as offering our tips and suggestions as for how best to use them. 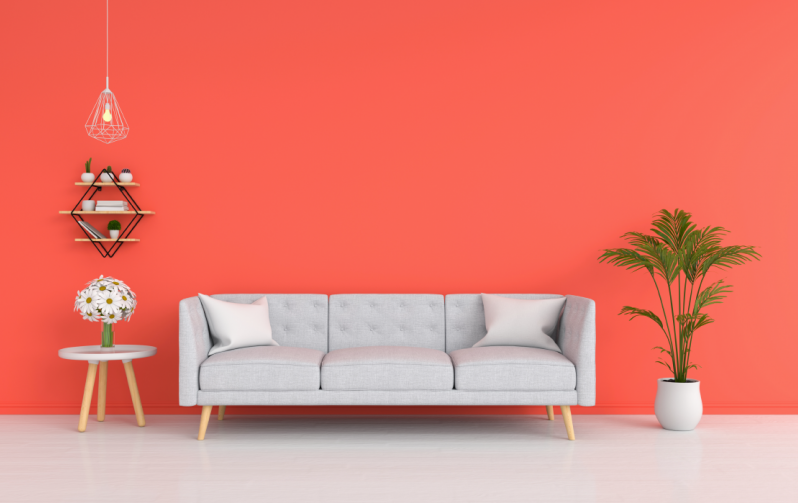 Pantone recently announced Living Coral (Pantone 16-1546) as the 2019 color of the year. 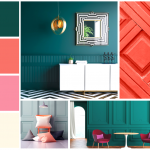 Described as “an animating and life-affirming coral hue with a golden undertone that energizes and enlivens with a softer edge,” Living Coral is sure to brighten and warm any environment in which it is placed. PPG Pittsburgh Paints has also unveiled their color of the year, Night Watch green (PPG1145-7.) This deep, rich shade pairs splendidly with Pantone’s Living Coral and would be perfect on the walls of a bedroom, study, living room, or sitting area. Lastly, but certainly not least, Millennial Pink continues to be popular amongst designers. Seen everywhere from luxury runways to Walt Disney World Parks and Resorts, this bubbly shade inspires the childlike wonder in us all. We recommend using this color as an accent to one of the two mentioned above. Combining any of these colors with deep, rich earth tones will result in a color palette that guarantees to delight. Reflecting the trends of 2018, the creative use of patterns and prints in a space is more fashionable than ever. For the bold among you, geometric and tribal patterns are the number one way to showcase an eye for design in your home. Whether used in small ways, such as curtains or accent pillows, or as statement pieces of furniture or wallpaper, these patterns are sure to make your home stand out – for the better! If you prefer a more subtle look, the ombre trend remains hot. When used in lieu of a bolder geometric pattern, ombre gives a soft and sophisticated air to any room. Agate Wallpaper is another trend we’ve seen on the rise. This beautiful marbling pattern evokes a sense of serenity and calm. Available in both permanent and temporary solutions and with a variety of colors, there is an agate wallpaper available for any luxury space. We recommend using the shade of blue and pairing with Night Watch green and Living Coral furniture and accents.